A review and critique of the literature pertaining to the use of cognitive remediation techniques in patients with schizophrenia is presented. The review is organized into three sections, according to the neuropsychological deficit targeted for remediation: 1) executive-function, 2) attention, and 3) memory. With regards to executive-function, despite an initial report suggesting that Wisconsin Card Sorting Test performance cannot be remediated, subsequent studies suggest that performance can be improved on a variety of dependent measures including perseverative errors, categories achieved, and conceptual level responses. These observations were confirmed by a meta-analytic investigation that revealed large mean effects sizes (d+ = 0.96) for these studies. Effect sizes were homogenous across discrepant remediation strategies and dependent measures. With regards to attention, serial scanning can be improved with instruction and reinforcement, whereas there is mixed evidence suggesting that practice-based attention drills can improve performance on measures of sustained attention in schizophrenia. 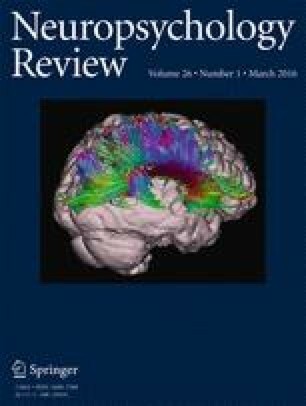 With regards to memory, relatively simple semantic and affective elaborate encoding strategies elevates verbal list-learning memory in patients with schizophrenia to levels consistent with controls. A similar encoding procedure, combined with vigilance training, produces substantial improvement in social cue recognition. Avenues for future research are discussed.